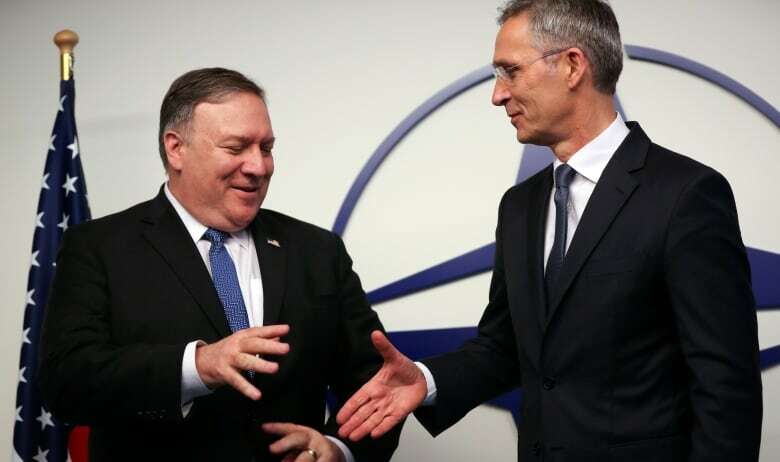 Foreign ministers from NATO member countries said in a statement Tuesday from Brussels that they "strongly support the finding of the United States that Russia is in material breach of its obligations" under the 1987 Intermediate-Range Nuclear Forces Treaty. "We either bury our head in the sand or we take common-sense action," said Pompeo. Pompeo said Russia had developed "multiple battalions of the SSC-8 missiles," referring to the land-based, intermediate-range cruise missile which also has the name of Novator 9M729. "Its range makes it a direct menace to Europe," he told a new conference after a meeting with his NATO counterparts. Russia would be given a notice period of six months to decide whether to comply when the U.S. suspends the treaty, originally signed by Ronald Reagan and Soviet leader Mikhail Gorbachev. In Moscow, Foreign Ministry spokesperson Maria Zakharova told reporters that "Russia strictly complies with the provisions of the treaty, and the American side is aware of that." The development also comes a week after Russian border guards fired on three Ukrainian navy vessels in the Black Sea near the Russia-occupied Crimea. The vessels and the crews were captured. 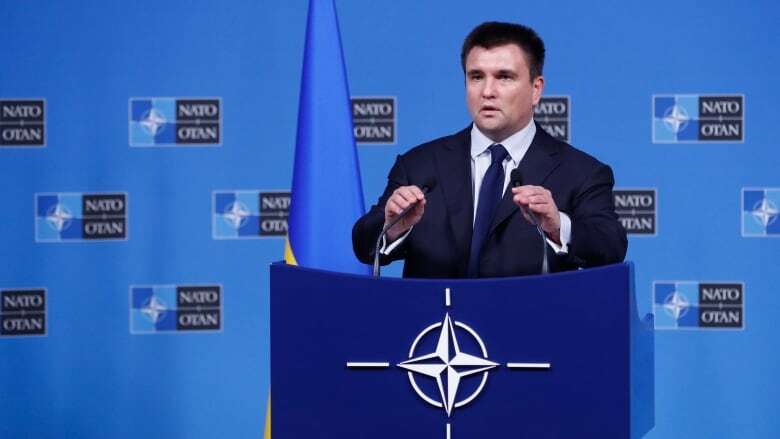 The NATO partners on Tuesday also held talks with Ukrainian Foreign Minister Pavlo Klimkin. Kyiv is seeking international support for its Black Sea confrontation with Russia, though it was unclear what more NATO would do beyond the sea patrols and air policing it already does in the region. Noting that Ukraine is not a member of NATO, Stoltenberg said the allies already "provide strong political support and strong practical support.